It’s the height of summer driving season, when many consumers are paying close attention to fuel prices to save money on road trips and vacations. But because of an antiquated rule, consumers are left without a cleaner, less expensive fuel choice: E15, a biofuel that contains 15 percent ethanol and is typically 5 to 10 cents less per gallon. The bipartisan Consumer and Fuel Retailer Choice Act (S. 517) would eliminate this antiquated rule. The act fixes a restriction on Reid Vapor Pressure (RVP) that currently limits sales of E15 during the summer months. The Consumer and Fuel Retailer Choice Act, or RVP fix, would allow retailers to offer more biofuel choices to customers year-round. Passing the RVP fix would also bring with it another substantial benefit to the biofuels industry: increased market access and demand for lower-emission biofuels. The expectation is that growing market access of E15 for consumers will be the catalyst for future investments in advanced and cellulose fuels with lower carbon footprints. For foreign investors like Dutch biotechnology and life sciences company DSM, achieving a more certain market through RVP relief would make a difference, noted Hugh Welsh, President and General Counsel of DSM North America. One of DSM’s initiatives is Project LIBERTY, POET-DSM’s Advanced Biofuels commercial-scale cellulosic ethanol facility in Emmetsburg, Iowa. Further underscoring the importance of driving growth in the industry is the news of the Environmental Protection Agency’s (EPA) proposed 2018 Renewable Volume Obligations (RVOs) under the Renewable Fuel Standard (RFS). Industry groups including POET and Growth Energy recently expressed concern about what the RVOs mean for the industry, specifically for cellulosic and advanced biofuels. The proposed 2018 RVOs would drop the target for cellulosic biofuels to 238 million gallons — a decrease of 73 million gallons from this year’s requirements. The proposed targets for advanced biofuels also drop, going from 4.28 to 4.24 billion gallons. “We’re hoping that if we can overcome this regulatory impediment it will help [those in the advanced biofuels sector] to show their investors that there will be a growing market access for their product, and hopefully that will help unlock their investments,” said Erick Lutt, Director for Policy for the Biotechnology Innovation Organization’s (BIO) Industrial and Environmental Section (IES). It’s not just cellulosic facilities that depend on showing investors growing market demand. 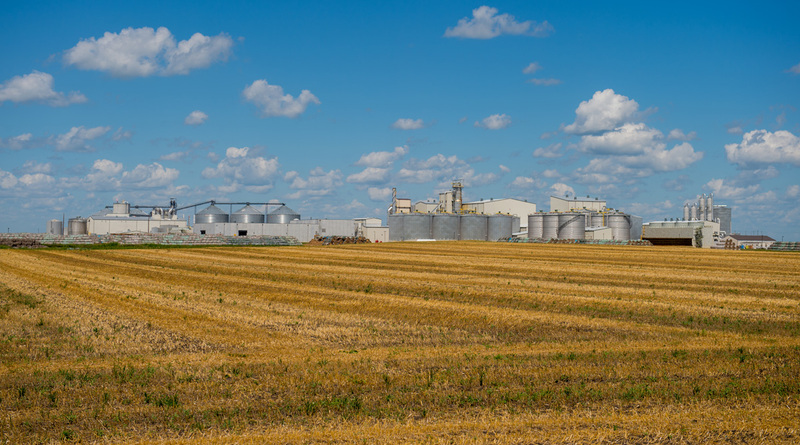 Policy and regulatory uncertainty has an effect throughout the biofuels production chain, from commercial scale cellulosic facilities down to the agricultural producer level, Lutt noted. For example, a farmer who wants to get an equipment loan to grow feedstocks for cellulosic biofuels needs to be able to show there will be market demand for the biomass. “It impacts everyone. If they can’t show a market, they will have a tough time showing the importance of investment for that product,” he said. Lutt referenced data in a BIO study showing that investors reacted negatively to the EPA’s delays and changes in methodology since 2013. BIO estimates that the rulemaking delays and methodology for setting RVOs has created a $22.4 billion deficit in advanced biofuels investments. “Whenever there is policy uncertainty or impediments, it tends to impact all biofuels producers to get investments,” Lutt said. Some in the industry are concerned that research efforts may stall without market security for advanced and cellulosic biofuels. Bryan Tracy, PhD, CEO of Delaware-based biotechnology company White Dog Labs, stressed the importance of growing the market for research efforts to continue. The expansion of the biofuels market also brings benefits to other global industries, Tracy noted. Overall, the Consumer and Fuel Retailer Choice Act will open the door for advancements in the industry, Coleman reiterated during his testimony.